Young music enthusiasts across the country are encouraged to rally their school music programs, grab their instruments, get together their band, acapella groups, orchestras, and anything in-between to record their schools version of the song and submit it here. Submissions will begin on August 8th and run through October 1st, after which, the videos will be hosted here and www.ingridmichaelson.com so that fans, friends and family can vote through October 8th to select the finalists. 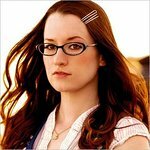 While on her fall acoustic tour Ingrid Michaelson will choose the Grand Prize winner and announce the lucky fan from her Orlando, FL show on October 15th. The Grand Prize winner will receive a performance from Ingrid at their school during the 2012-2013 school year, as well as a new Yamaha keyboard for their music program. Several runners up will also receive exciting prizes. The VH1 Save The Music Foundation is a non-profit dedicating to restoring instrumental music education programs in our nation’s public schools. Since its inception in 1997, the Foundation, has provided more than $48 million in new musical instruments to 1,800 public schools in more than 100 cities around the country, impacting the lives of over 1.8 million children. Thanks to the generous support of celebrities like Ingrid Michaelson and the VH1 Save The Music Ambassadors, including Katy Perry, Daughtry, Lupe Fiasco, Jordin Sparks, Matthew Morrison, Vanessa Carlton, AJ McLean and Gavin Rossdale, the Foundation is able to generate awareness about the importance of music in a child’s education. 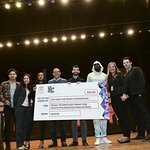 “We are absolutely thrilled to have a performer like Ingrid Michaelson challenge students across the country to pick up their instruments,” said Paul Cothran, Vice President & Executive Director of the VH1 Save The Music Foundation. "Music and the arts unites us all and Ingrid’s song “Blood Brothers,” as well as this contest, are great examples of that. With her help, we can show the power of music and come one step closer to achieving our goal of ensuring that no child be deprived of access to a complete education, which includes music."